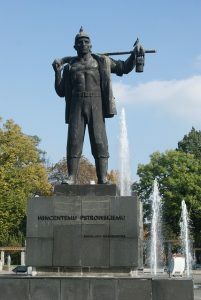 We will be led by an experienced guide who will tell us many interesting facts and lighten the process of coal mining. We can realize how hard was the work of miners in this place in the nineteenth century. An interesting fact is that the mines were used to work horses and there were underground stables here. Thanks to the visit to the mine, we will also understand the worship of St. Barbara, who is a “present” figure at every stage of the tour. Our transport of people allows us to reach the facility directly. It is, therefore, worth to use our services, as you will save yourself a lot of time traveling to this place. You can also arrange a trip to a few people, which is a very interesting way of spending time with friends or family. A visit to the Guido mine is sure to be memorable for a long time and we will probably return to this place again.